To apply for a work permit, you must have either a non immigrant visa or a residence permit. Ideally, you must also have a non-immigrant visa must be obtained before entering Thailand. A residence permit is usually granted only after you have lived in Thailand for at least 3 consecutive years under a non-immigrant visa. Your employer or potential employer may file an application for advance permission for permission to work before you arrive in Thailand. However, the work permit itself will not be issued until you arrive in Thailand on a valid non-immigrant visa. How long are Work Permits granted? 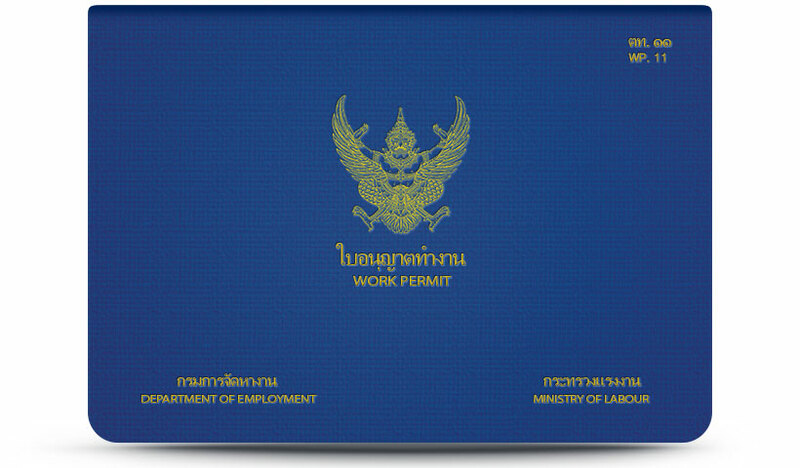 Thai work permits are valid only as long as your visa allows you to remain in Thailand. That Also, a work permit is good only for the particular job for which it was issued and within the geographic limitations specified in the work permit. Working in a position or at a location other than that specifically approved is grounds for termination of your permit. You may hold more than one position with one or more employers but you must obtain permission for each position and for each employer. Generally, the permission for each position is entered in the original work permit record. Exceptions to the Alien Employment Act permit foreigners to perform work without a permit if they are deemed necessary and urgent which can be completed within 15 days. However, the Department of Employment must be informed before such work begins. Working without a valid work permit is a criminal offense. Penalties include imprisonment of not exceeding 5 years or a fine from Baht 2,000 to Baht 100,000, or both. In the case you agree to travel out of Thailand within the period of time prescribed by the interrogating officer, which must not be later than 30 days, the interrogating officer may impose a fine and make arrangements for you to travel out of Thailand. Foreigners who do work reserved solely for Thais will be fined of up to Baht 20,000. A company or employer that hires a foreigner without a valid work permit is subject to a fine from Baht 10,000 to Baht 100,000 for each foreign worker/employee. Therefore, you must always have a photocopy of his/her work permit available when traveling, and be prepared to show it upon arrival in Thailand. An executive or expert who has been granted privileges under the Investment Promotion Act, the Petroleum Act, or the Industrial Estate Authority of Thailand. An individual investor who brings in money from abroad of not less than Baht 2 million for the purchase of shares in a private company. An executive or expert working with a company whose fully paid?up registered capital or whose operational fund is not less than Baht 30 million. Aliens who work for the foreign press. Alien researchers and developers in science and technology. Alien officers of branch offices of overseas banks, foreign banking offices of overseas banks in Bangkok, provincial foreign banking offices of overseas banks, and representative offices of foreign banks. Aliens who come to work for branch, representative, or regional offices of overseas enterprises.